If your company would like maximum exposure and traffic from home owners that search our directory everyday, then the TOP SPOT banner ad is for you. This banner ad is much larger than the directory listing banners and will always be on top of all the other "Featured" and "Standard" contractor directory list. PRICING | For pricing please log into your company profile page and look at the bottom of the page. There you will find pricing and an option to purchse. Remember that you will never pay for contractor job leads. 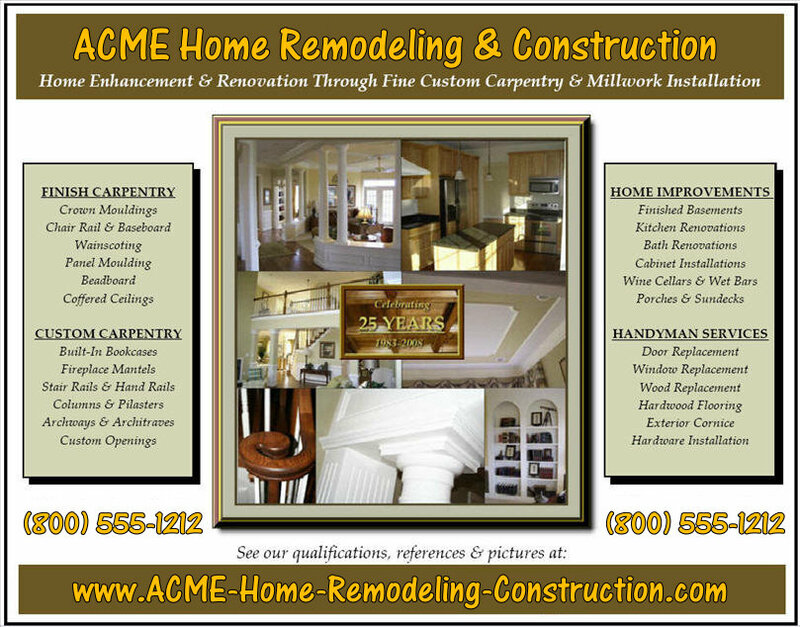 All homeowners that click on your banner and contact you are FREE Construction Leads. EXAMPLE | Below is an example of a Banner Ad that is always listed above the Featured Ads and above the Standard Ads that are below. 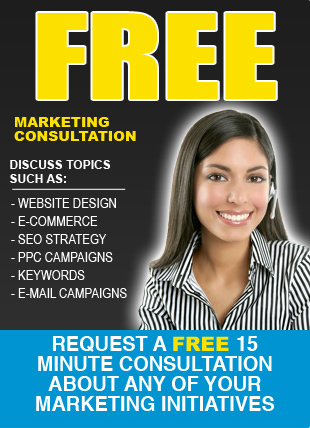 Are you still hesitant to use banner ads in your marketing campaign? It helps to complete your branding circle. ContractorHomePros Online banner advertising does not really replace traditional methods of advertising, it completes the branding circle. The Internet with its billions of users around the world has huge potentials to open new opportunities for businesses to grow and expand. NO expensive long term contracts. Advertising can cost you big time. That is made more costly when you are forced to sign up for long term advertising when you only need short exposures. It costs less and can also give you the opportunity to control and make changes in your campaign based on the performance of the ads. Capturing new clients through marketing/targeting. Do you want another run to get a second or a third chance to capture a target market? Your target market may not be converted the first time they see your banner ads; that happens quite often. Display advertising through remarketing are a great way to remind them of your product/service that offers a solution to a need or problem. Benefit from “Geo-targeting.” Banner ads in a Contractor Directory gives you the control to creatively personalize your online advertisements so that you can efficiently zero in your market by geographic location. Entice your target by knowing their interests. If you know your target demographics, you would understand their interests and what can captivate them. Use the knowledge to design your construction company banner ads to entice and grab their attention. For instance, younger targets would normally be interested in the social media and celebrity icons while young professionals would be interested in niches like home remodeling, plumbing, roofing and outdoor living. Get the ads featured on relevant sites. Your knowledge of the interests of your typical customer can take you further to include the knowledge of the websites that they usually visit or content that they read. Banner ads featured alongside a relevant content increase the likelihood of getting noticed, and clicked. Placing ads on the sites not visited by your target market is a waste of advertising funds. Use complete transparency to your advantage. Having the ability to track or getting feedback from your ads is critical. Other advertising forms can be hard to track; using Construction ads can let you in on a weekly even daily updates. This kind of information tells you whether your advertising/marketing effort is succeeding or you need to tweak it. Take advantage of A/B split testing. Sometimes it is hard to say even when you understand your market which kind of ad would work the best. This is why having control in your advertising is good. You can test a strategy and change it when the feedback is not as good as you expect. Enjoy lower marketing cost. Online display advertising is not at all expensive; tri-media and use of billboards typically cost more. In fact, this kind of advertising is leveling the playing field for small entrepreneurs with limited resources. With billions of Internet users, you can reach so many target users for a couple of dollars. Online display advertising campaigns are great strategies that can improve the visibility of your construction company or home services.